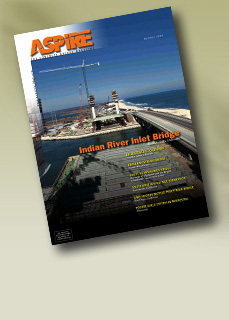 Incremental launching of long approach spans improves safety, reduces costs, and protects sensitive sea grass beds. Cast-in-place and precast concrete combine to solve challenges at remote and beautiful construction site. New Jersey’s twin precast segmental bridges. Precast ‘super-girders’ aid light rail. The world’s longest stress ribbon bridge. Paper by Larry D. Olson, P.E., Olson Engineering, Inc.